Being acne-prone, breakouts and scarring are not the only skin issues I cope with on a daily basis. 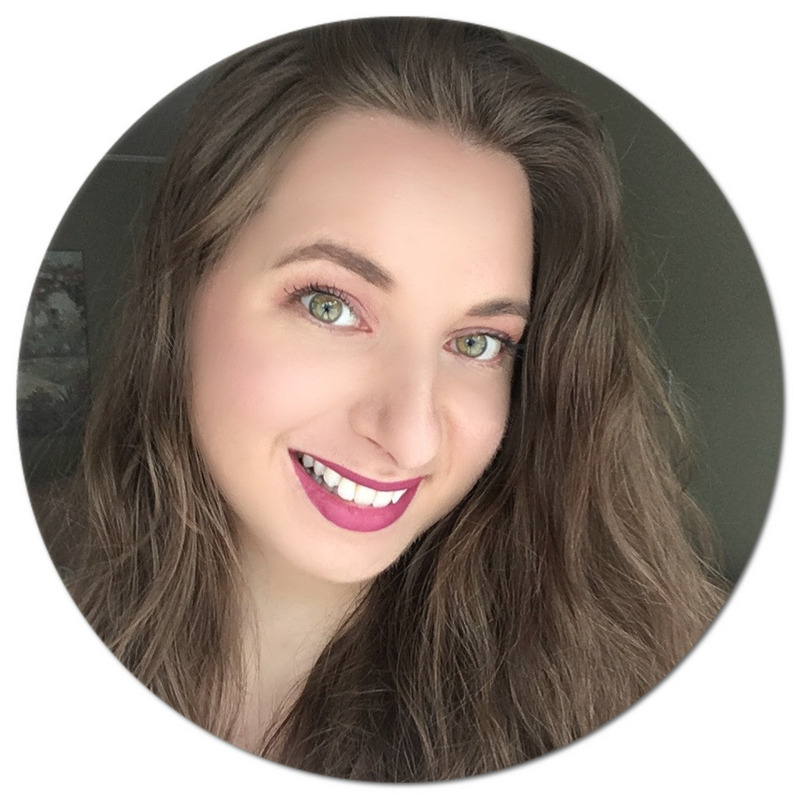 Having sensitive skin and also being prone to redness (and I don't just mean from blushing... which yes does happen more than you would think and is not as cute as it sounds), I am aware that I look like a completely different person when wearing full-coverage makeup, as you can see in my latest video. While some skin care products aggravate my sensitive skin, others have been helpful in calming it down... see where I'm going here? 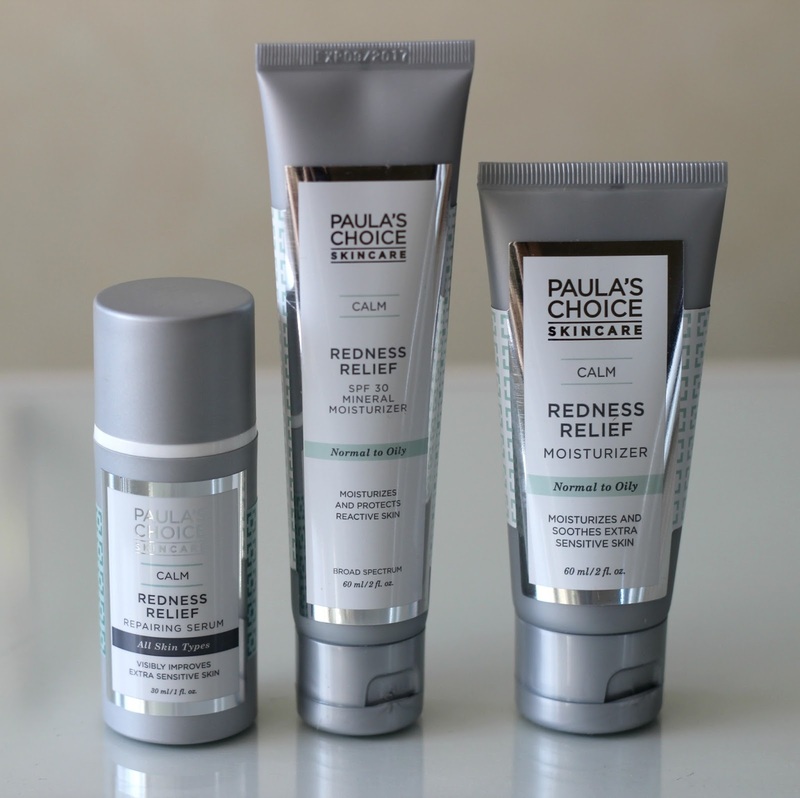 Paula's Choice* just launched a new collection called Calm Redness Relief, which includes six products for both your morning and night routines. Being left beyond impressed following my first encounter with the brand, I had high hopes that this range would come to my (redness) rescue. I am excited to share my experience and my before and after results! The Calm Redness Relief Kit* has your skin type in mind since you can pick either the Normal to Dry Kit (for tight, flaky, or generally dry skin) or the Normal to Oily Skin Kit (for skin prone to breakouts and enlarged pores). I opted for the latter since I have combination skin that gets oily, especially in my T-zone and I deal with 'uninvited guests' that leave scars behind. Each box comes with a cleanser, a toner, an exfoliant, a serum, a day moisturizer with SPF and a night moisturizer which all come in convenient packaging. 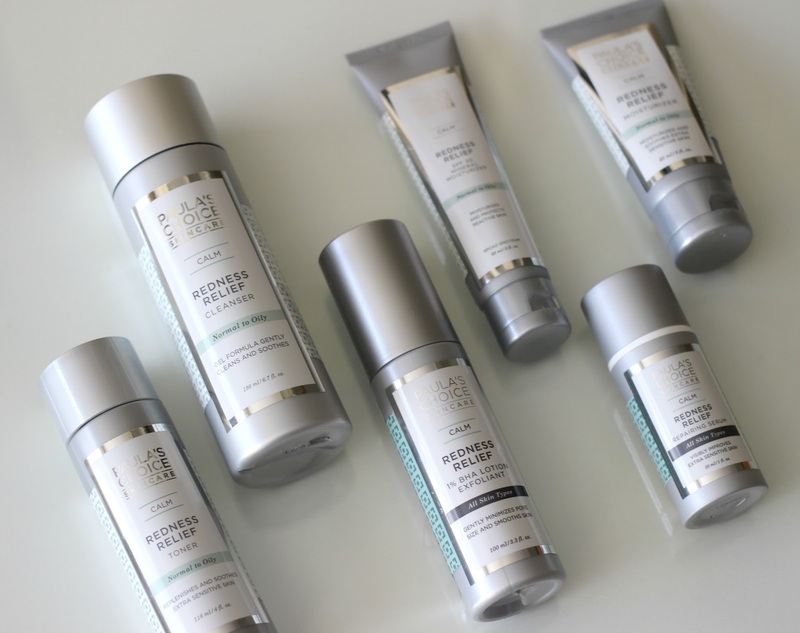 These products work best together to reduce inflammation and help fade facial redness. They contain a variety of soothing and moisturizing ingredients said to help calm even the most sensitive skin, including those who suffer from rosacea, with all formulas being fragrance-free. The first step in my Normal to Oily skin routine involves using the Calm Redness Relief Cleanser, ideal for those with stubborn, acne-prone skin. This light gel gently foams and leaves my skin feeling clean, yet does not strip or dry it out. Ingredients include plant extracts such meadowfoam seed oil, aloe vera juice, burdock root extract and marigold flower extract filled with vitamins and antioxidants to reduce irritation and balance your skin tone. I fell in love with their Hydralight One Step Face Cleanser and this formula has a slightly silkier texture, which I'm a big fan of as well. Next, I use the Calm Redness Relief Toner, a no-rinse liquid formula. I apply it all over my face and down my neck using a cotton round. The smell isn't the most pleasant (which I find quite common when it comes to toners), however, my main concern is always whether it will sting my skin and thankfully this toner is gentle. Key ingredients include sea whip extract, oatmeal and phytic acid that together work to normalize and restore my skin's pH balance. The one product that let me down in this kit is the Calm Redness Relief 1% BHA Lotion Exfoliant. This cream actually did the opposite of calming sadly and made my skin red and irritated, particularly on my cheeks. I'm not sure which ingredient is causing the flare-up: the exfoliant contains extracts such as licorice root, green tea, willow herb and also salicylic acid, which I usually react well to it, having myself gotten a salicylic peel just a few months ago. Unfortunately, I have stopped using it to avoid aggravating my skin. Next, I follow up with the Calm Redness Relief Repairing Serum, a lightweight cream that quickly relieved the redness caused by the last step. It contains similar ingredients to the above-mentioned products, with other stand-out ingredients including soy extract and hyaluronic acid. It feels light and sinks in within a minute, something I always appreciate, especially in a serum. To finish off any skin routine, moisturizer is a must. This kit includes the Calm Redness Relief SPF 30 Moisturizer for daytime and the Calm Redness Relief Moisturizer for nighttime. Both are similar in texture, and I love that the SPF moisturizer is fragrance-free and contains a mineral-based sunscreen which is not always easy to find. Neither of these feels greasy, although the daytime moisturizer leaves a bit of a white cast and takes a bit more work to fully sink in. The nighttime moisturizer is amazing though, no complaints! And now for the before and after pics - warning: no makeup! 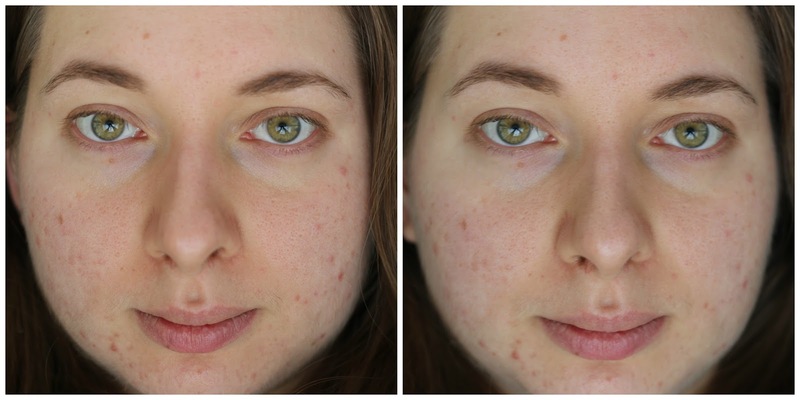 I've been using the kit for about a week now, and although I haven't noticed dramatic results (it does not help reduce scarring as you can see), I do notice my overall skin being less red. Paula's Choice is one of my favourite skin care brands because they are so careful and back up their ingredients with proven research. I also appreciate that they offer a 60-day 100% Money Back Guarantee and are 100% cruelty-free. If you would like to try Paula's Choice but don't know where to start, you can get a free phone consultation to determine which products are best suited for your skin by calling 1-800-831-4088. I think the US$130 price point for all six products (a value of US$162) is great considering you are getting luxury skincare on a budget. Do you need expert advice on how to best take care of your skin? Read more here! Are you a fan of Paula's Choice skin care? I can definitely tell that your redness is reduced!